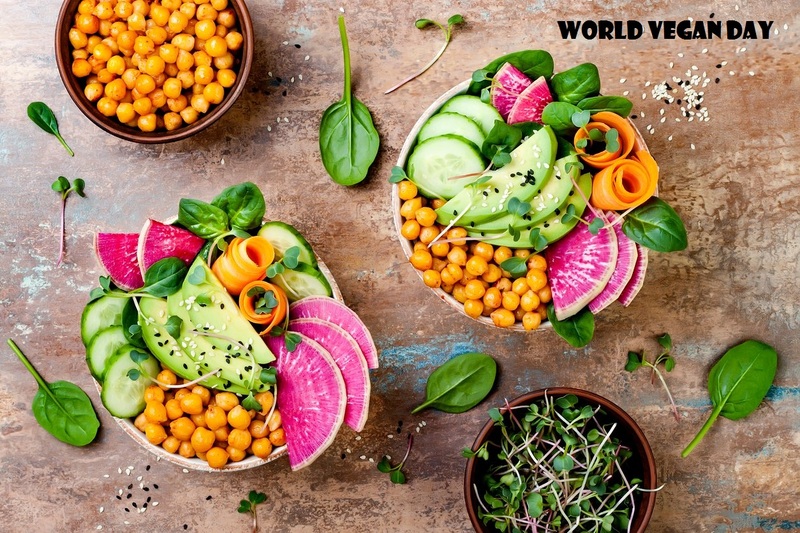 World Vegan Day, the day intends to raise awareness about the importance and benefits of veganism for humans, animals and the environment. The day also aims to raise awareness about the animal rights and the protection of environment. Veganism is a kind of vegetarian diet that excludes meat, eggs, dairy products and all other animal-derived ingredients; also they don’t consume foods that are processed using animal products. Instead, only plant-based foods are consumed. A diet without any meat or dairy products is likely to have less saturated fat, which is related to risk of increased cholesterol levels and increased risk of heart diseases. Basically a vegan diet normally contains more vegetables, nuts, cereals, seeds and fruits. Vegan Day was first celebrated on November 1st, 1994 as a way of commemorating the 50th anniversary of the UK Vegan Society, which was established in November of 1944. In general Vegan Day is an occasion for promoting the benefits of a vegan diet and veganism. The term Vegan was coined by Donald Watson which was derived from the word Vegetarian.